Shooting the breeze recently with my mate Andy, we concurred that we both strongly support the notion and culture of ‘Having a crack’. That’s certainly one of the main reasons I keep posting things on this site – in the hope that sharing things here encourages others to do have a crack themselves. This little project was much more in the having a crack category than the nailing it category for me. 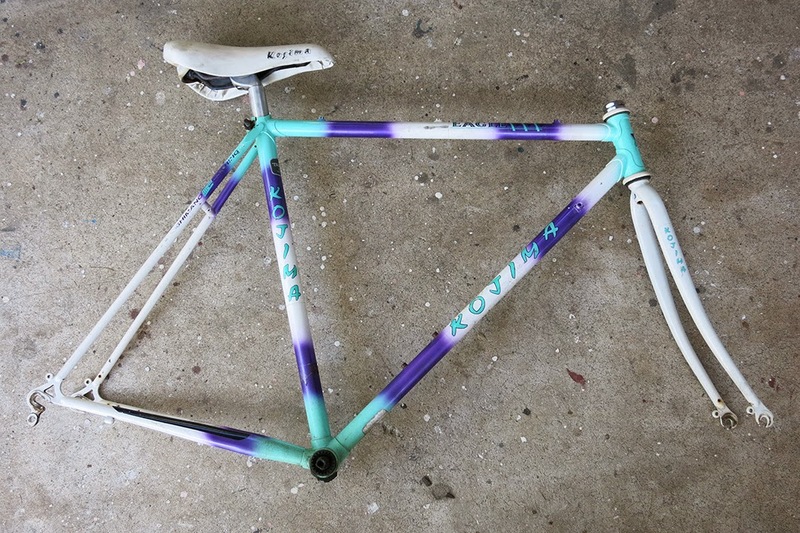 This one’s a bit of a make over of an ‘plain’ old road frame into a daily communter - note that this 80’s Kojima even came stock with a ‘plain’ sticker! 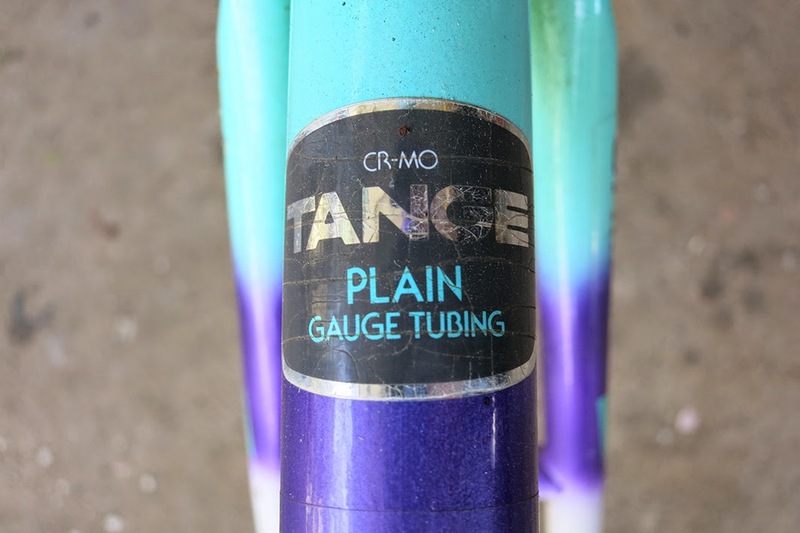 Now I know the paint on this was in good nick and some purists might scream out to keep this beast original but, really it’s nothing exotic in it’s original form and it made a good donor frame. 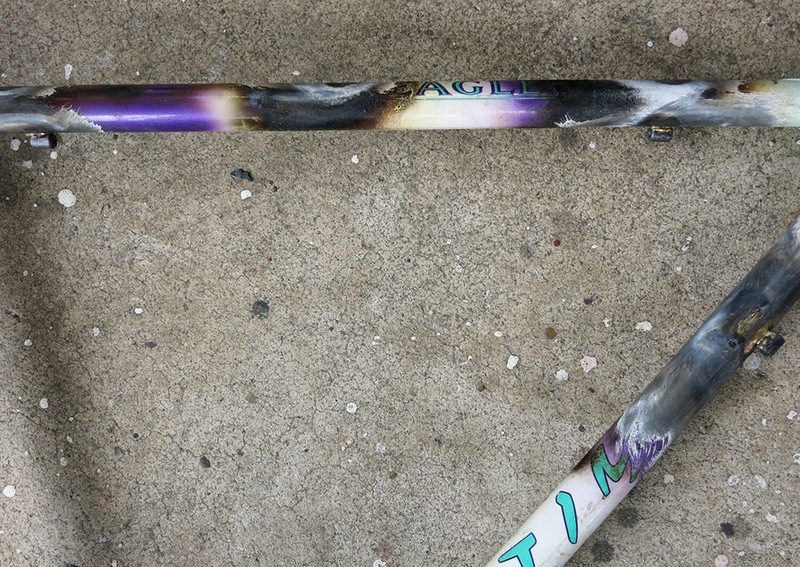 I haven’t really played with an oxy torch much and I was keen to get a bit of experience doing some simple braze-ons. 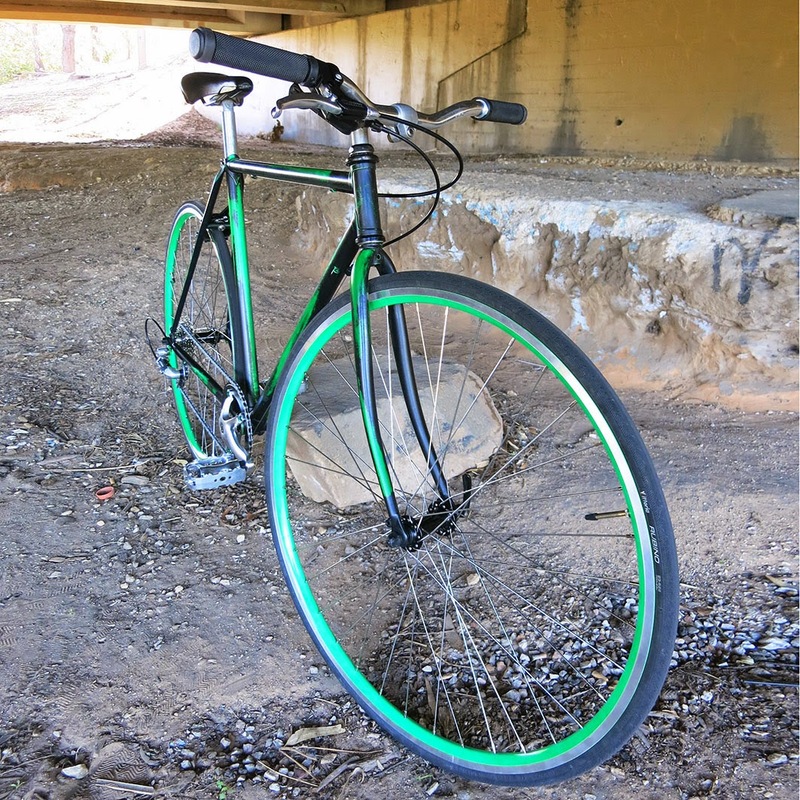 So, the main vision here was off with the down tube shifter mounts, a shuffle of the brake cable guides so that it runs under the top tube and on with a couple more cable guides to accommodate a riser bar conversion. The torch was fun and this quite basic job definitely opened my eyes to just how much there is to learn. This project was a good taster. 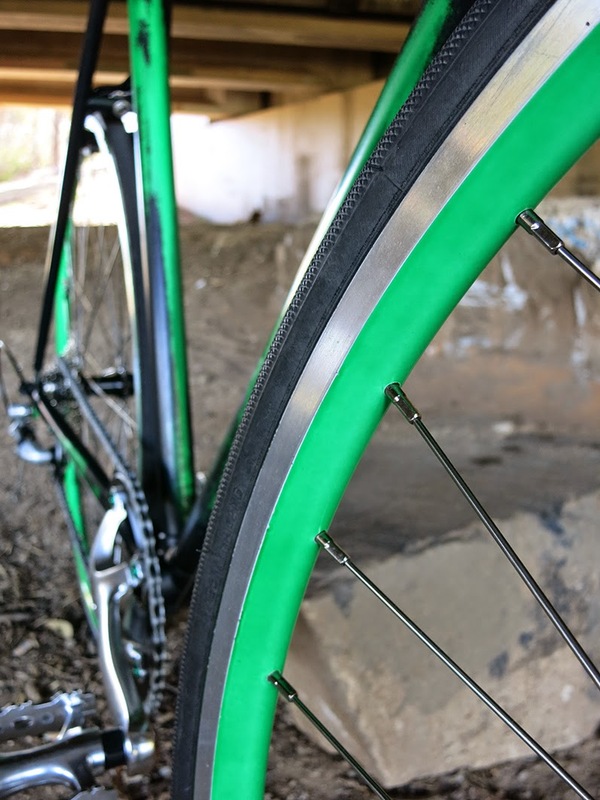 After the braze-on mods we pursued a special paint job experiment. 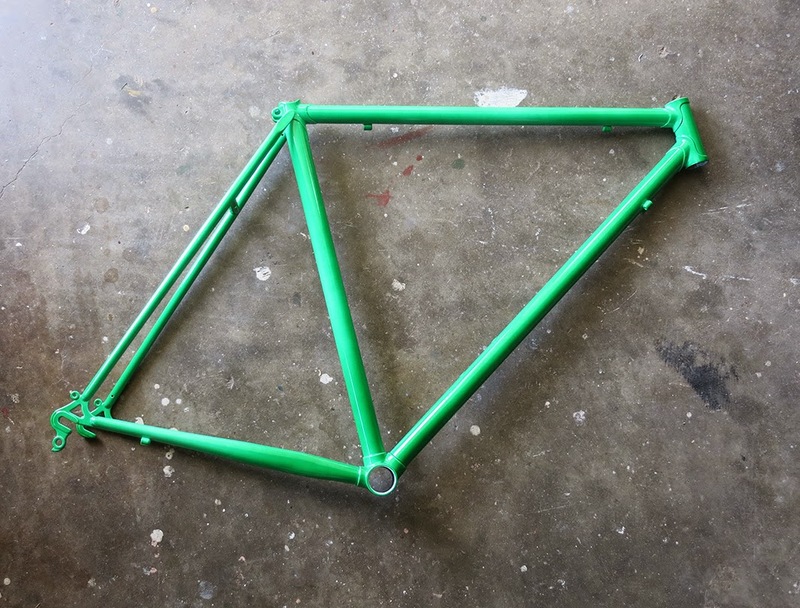 I’ve done a couple like this in the past where the first layer of colour is powder coat, providing some heavy duty and long lasting frame protection and then a thin layer of cheap matt black, slightly rubbed back to give the finish a little punk flavor. 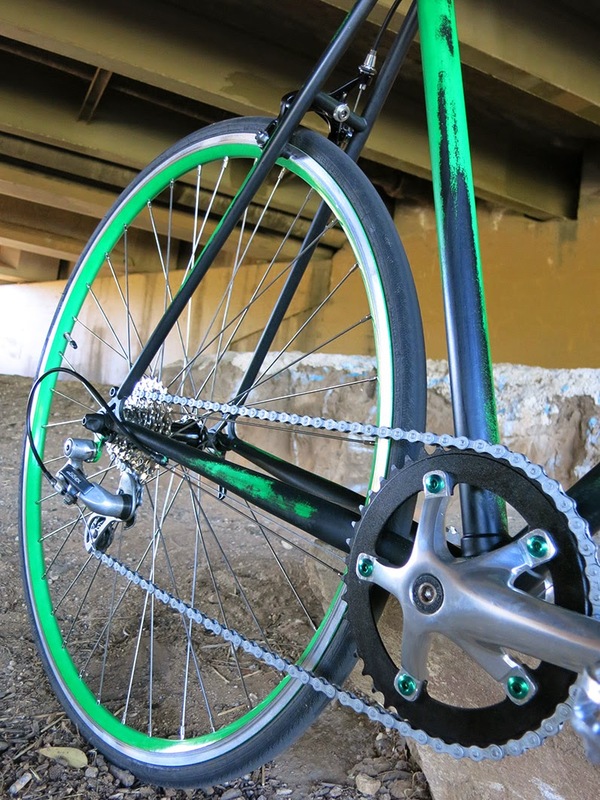 The black wears with use making the bike look a little ratty and a lot less attractive to thieves. This green is a special opaque number that goes on over a white layer. The Webster family at Southern Powder Coaters were especially helpful here, taking extra time to carefully mask the braking surface of the of the rims that we had done to match the frame. Special shout out goes to Mark at Standish Cycles Mile End for a very tidy job on the wheel build.